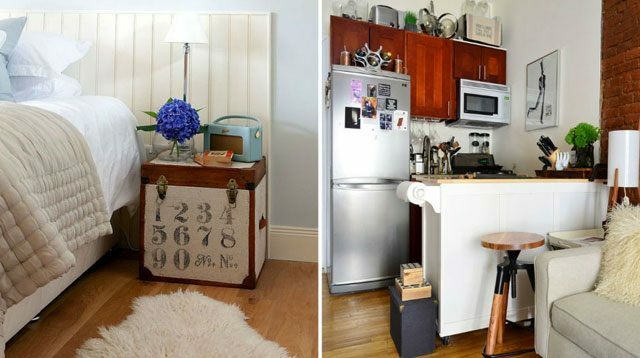 These clever tricks will work for homes big or small! Is your home overwhelmed with clutter? 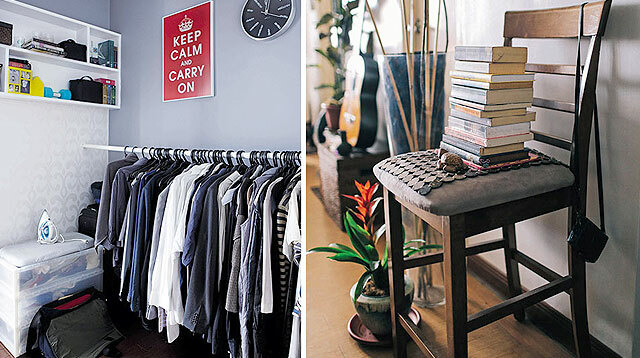 In a small space, finding places to store things is a constant struggle. No matter how much shelving, baskets and bins you buy, you're bound to run out of room eventually. 1. Pretty boxes are a nifty way to stretch shelving. 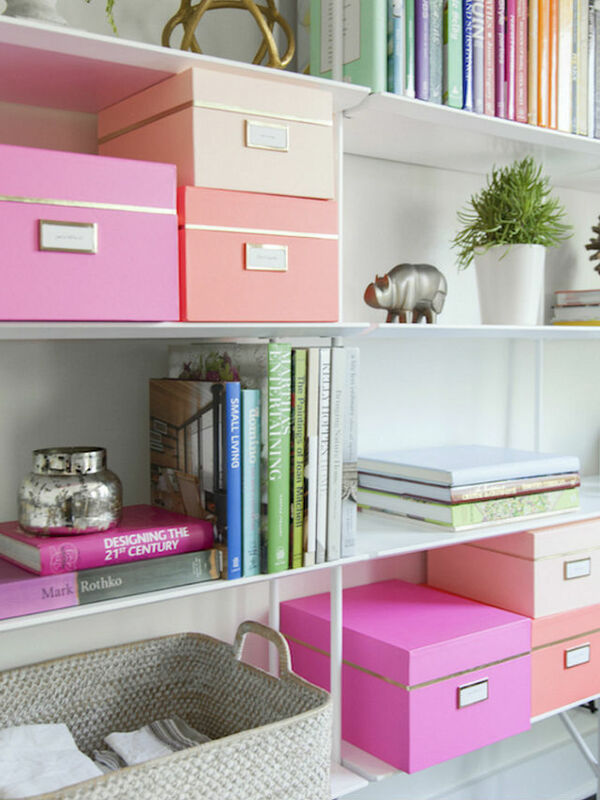 If your existing shelves are jampacked, an easy way to extend it is through colorful boxes. All you have to do is organize your belongings inside the boxes and stack them neatly on your bookcase. Aside from being a great spot to stash your things, they become an eye-catching feature of your home, too. 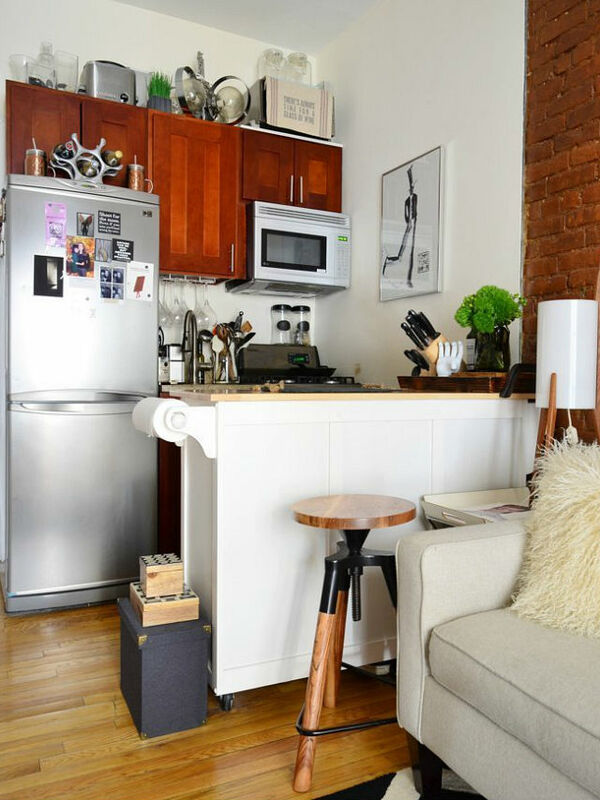 If you think you're looking at a tiny kitchen with a working countertop, your eyes are playing a trick on you. The white piece found in this home is actually a rolling cart that doubles as kitchen storage and an island for prepping meals. 3. 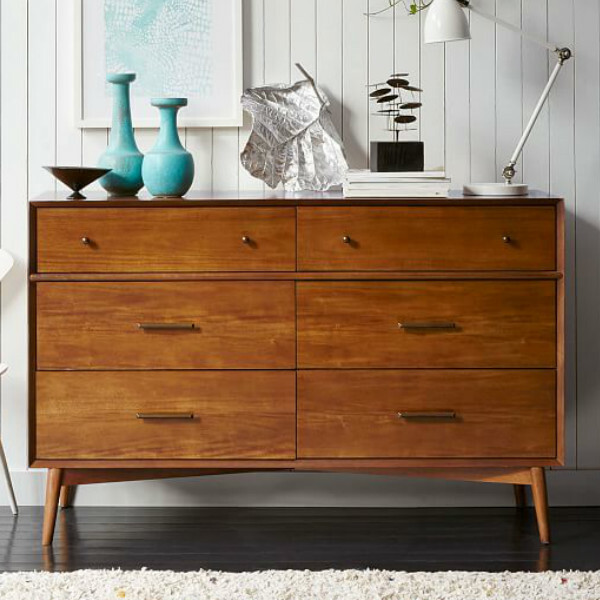 Make the most of dressers. For those who are living in homes with lower ceilings, tall shelving might not work. Consider maximizing multi-drawer dressers instead. Not only do you get four to six boxes to help keep your knickknacks in place, you can utilize the surface as a mini-working desk or as a makeshift vanity as well. 4. 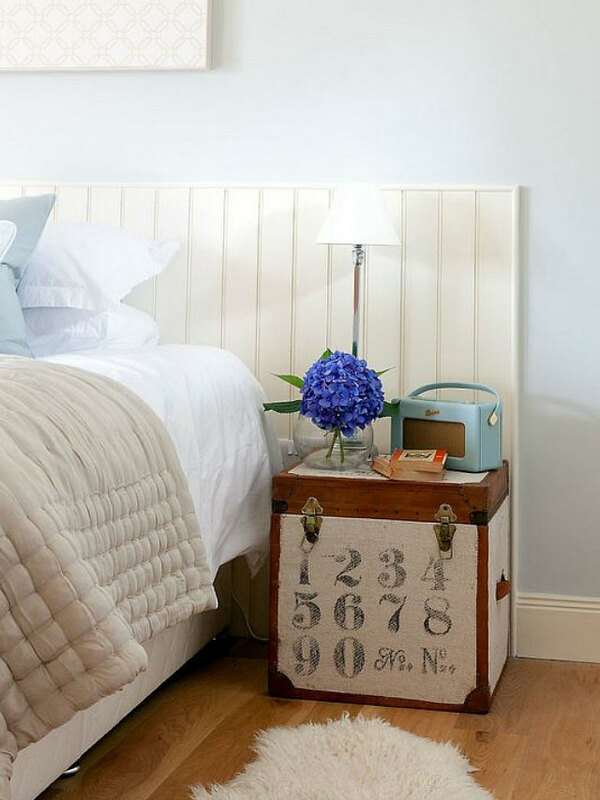 Use old luggage as a stylish nightstand. Believe it or not, a trusty trunk can make a beautiful nightstand. It can be a handy spot to store all your bedtime essentials while you can keep all your extra sheets and pillowcases inside your retired suitcase. 5. Invest in slide-out racks. 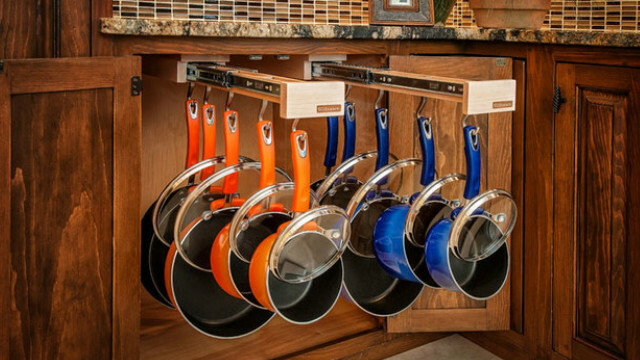 Ready to take your kitchen cabinets to the next level? If you are, it's time to splurge on slide-out racks. It's a simple and effective way to expand tight cupboards without major renovation. Just be sure to invest in heavy-duty hardware and good timber boards to make sure it won't detatch on its own. Tip: Don't know where to get slide-out racks? 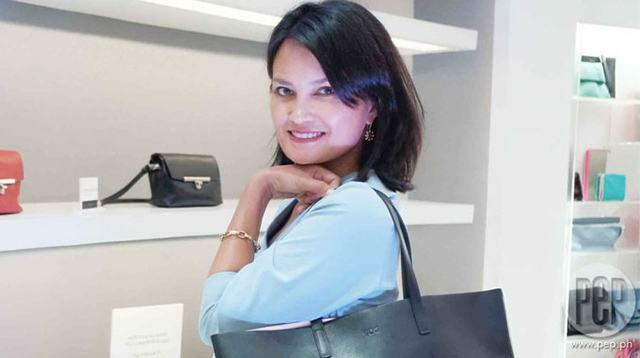 Wilcon Depot in Quezon City has a ton of options you can choose from.